There are tones of webpages this days that lets you find the hex code for a certain shade that you want to use. 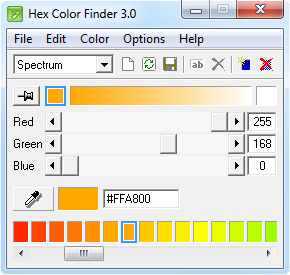 However, If you want a certain color from let’s say an image or a webpage, you should definately try <b>HEX Color Finder 3 </b> as it has a picker that extracts the color into HEX, which you can use when you design a page. ← How many Apple’s products sells around the world every second ?